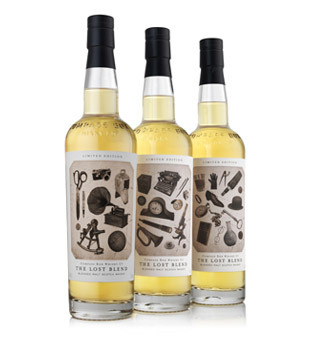 For the first time, three different front labels adorn the front of the same whisky. finally able to track down the unique whiskies he required earlier this year. The result is The Lost Blend. and all key international Compass Box markets. different spirits with close to supernatural properties. discovery to the whisky itself: which label did I get?